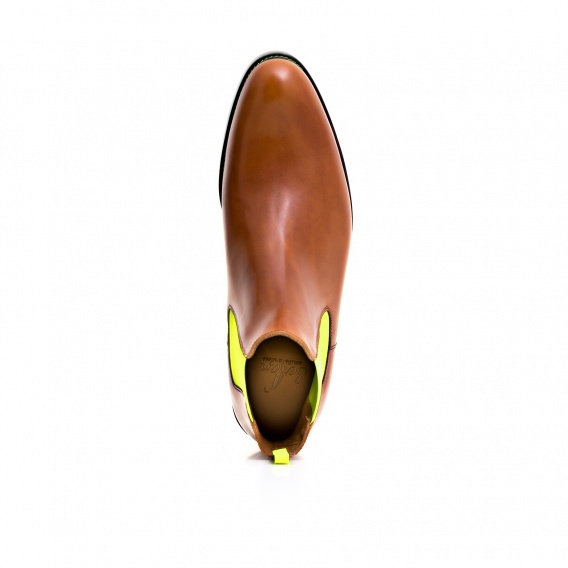 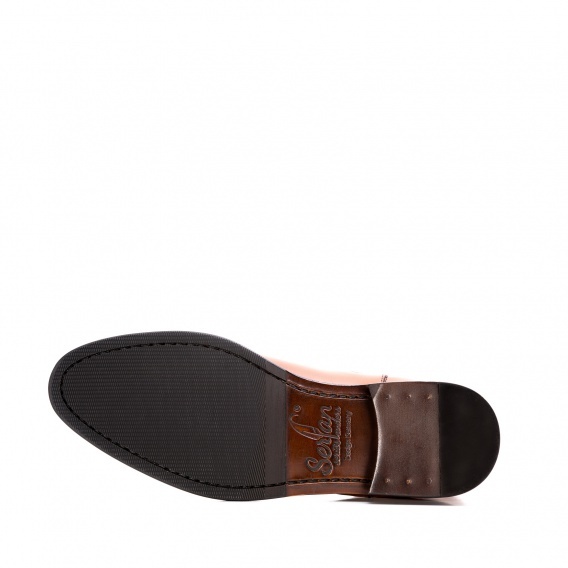 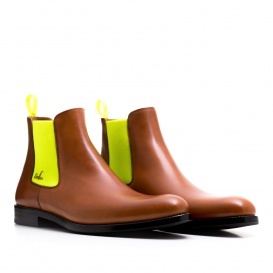 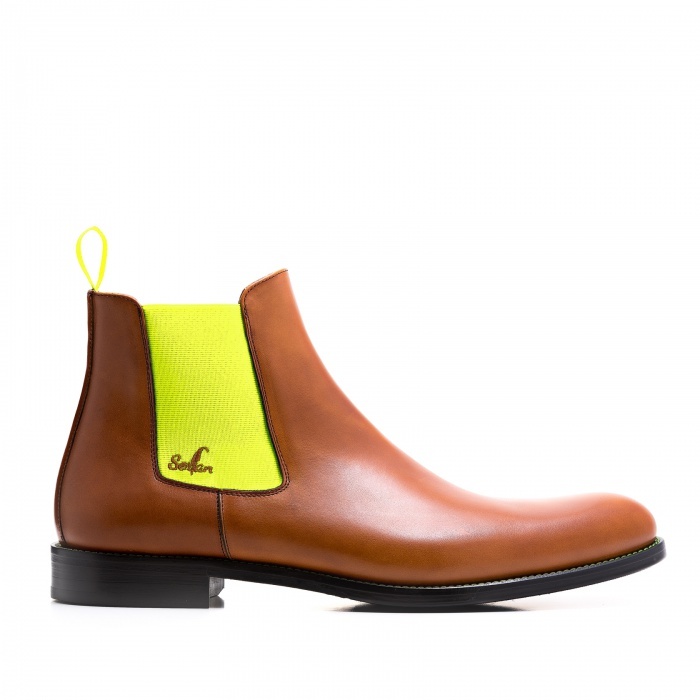 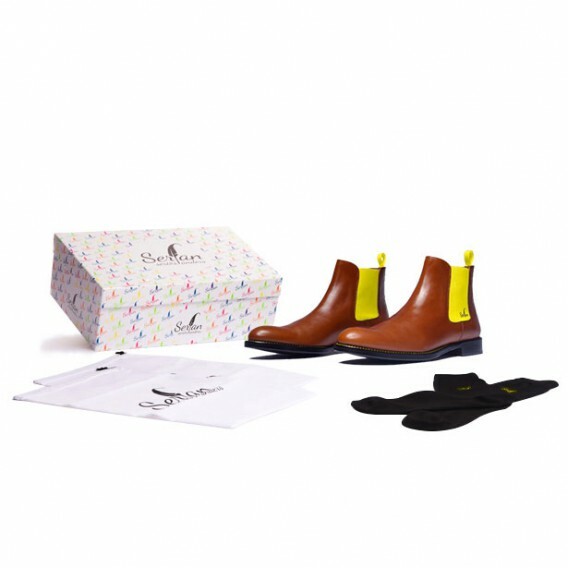 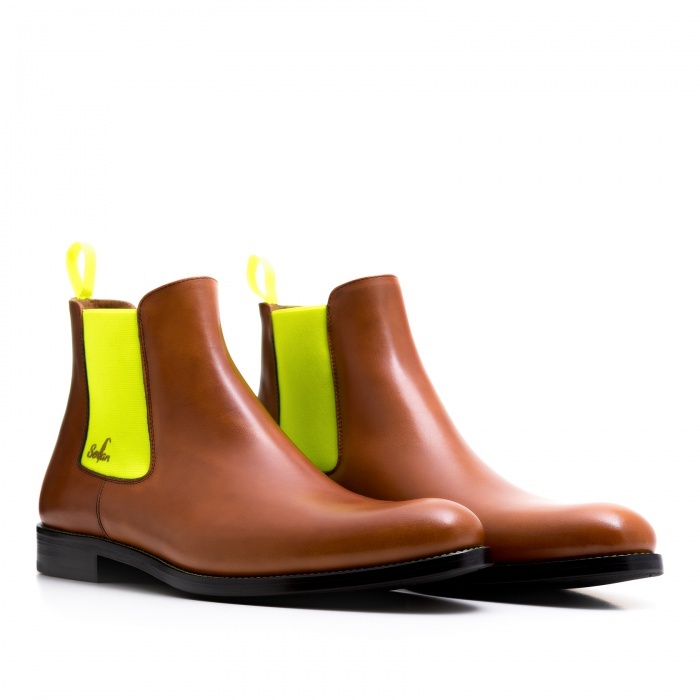 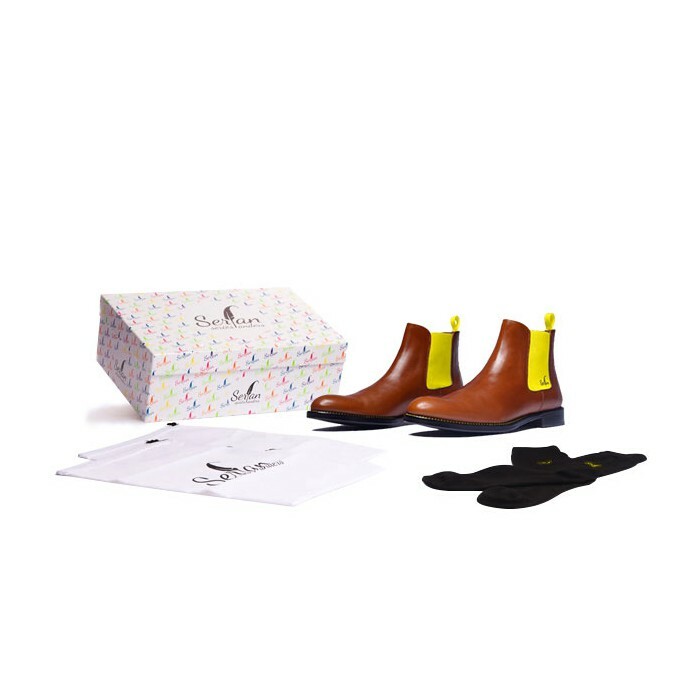 The cognac Chelsea Boot is very special due to his subtleties. 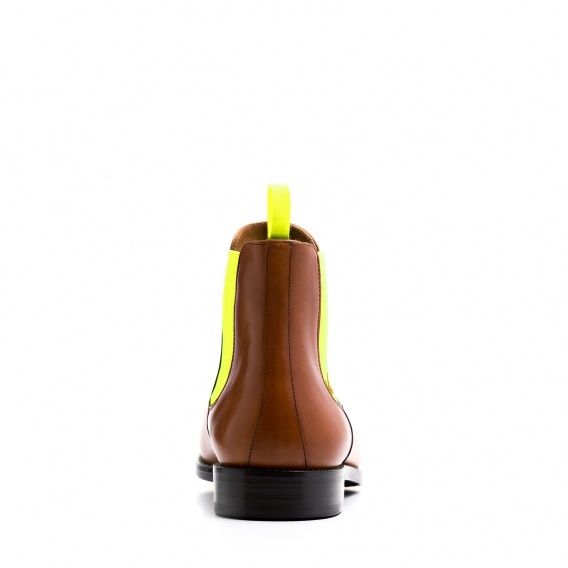 The yellow elastic band creates a warm colour effect and gives you a lot of vitality. Its wearer looks elegant and draws all the attention to him.